Kolahoi Trek takes us to the base of Kolahoi Peak (5734 meters) which is a favorite expedition for mountaineers since last century. 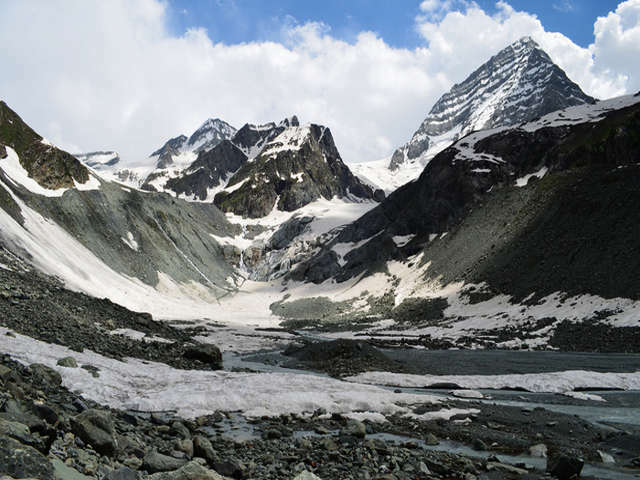 The trek takes us over high alpine pastures and forests of Lidder towards Kolahoi Glacier or Kolahoi Base Camp. We start our trek from Aru Valley near Pahalgam (the land of shepherds) through pine forests of Satlanjan. We will get to enjoy beautiful views of Kolahoi Peak and retrace back to Tar Sar Lake. We will also undertake a white water rafting trip and hike till Srinagar where we will enjoy the spectacular views and enjoy shopping over floating market on Dal Lake and enjoyable stay in Houseboat. It's a comparatively easy trek which takes us to a glacier in such short span. You can enjoy your trek luxury style with porters and horse rides to complement your trek thus making it a memorable experience. We trek through land of shepherds across Lidder River and enjoy views of the glaciated valley with waterfalls, blue alpine lakes and green meadows and camping beside magnificent Tar Sar Lake. An optional extra day can be arranged to hike to the Tar Sar lakes from the base camp in Lidder Valley. Enjoy your stay in Srinagar, enjoy sightseeing around Dal Lake, shopping at market, boating and luxury houseboat stay in Srinagar. Enjoy views of Mughal Gardens and the famous Shankaracharya Temple. Today will be a long day so we will make an early start for our over 100 kilometer journey to Pahalgam and Aru Valley. 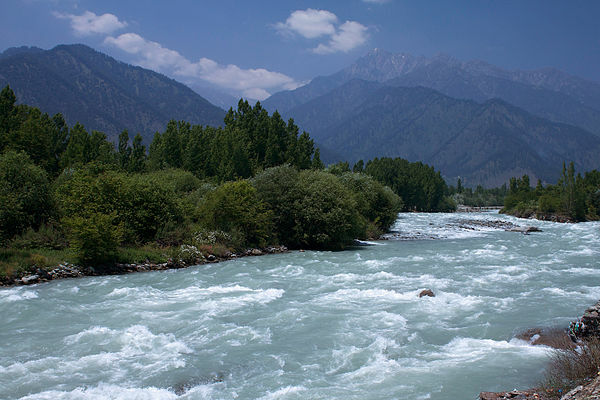 Pahalgam the land of shepherds is a famous tourist spot in Kashmir. Enjoy meals, rest and beautiful views of Betaab Valley, while we proceed towards beautiful green pastures and views of majestic peaks nearby. We will take a few short strolls in the nearby areas for acclimatization. At night we stay in homestay or camp in Aru. Today will be short 4-5 hours trek across Lidder River, we will be crossing a stream and walk through conifer forests and flowered meadows to our campsite at Lidderwar across a narrow valley over a foot bridge. Tonight Camping in Lidderwar. Today will be an easy trek along the gushing Lidder River on an occasionally steep trail. We will be crossing several river tributaries beside the Gujjars Camps and continue with our descent towards a lush green meadow. This place is called Satlanjan . We camp here tonight beside the river. Today will be a long day trek as the walk towards the glacier will be hard over glacial moraine. We will be crossing several nomadic settlements en-route. There are spectacular views over Kolahoi Glacier (4200 meters) and views of Kolahoi Peak. We will climb a little higher over a ridge to get the best views. Enjoy breath-taking views of Pir-Panjal Mountain Ranges. The descent is easier as we reach to our campsite in Lidderwar by evening. 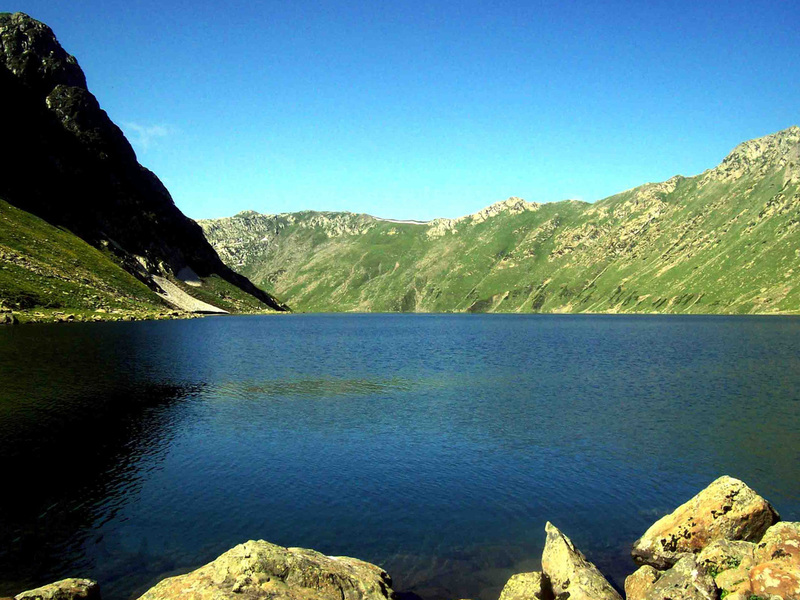 Tarsar Lake situated at an altitude of 4000 meters located in Aru Valley. The Lake is almond shaped and provides a wonderful trekking trail and views of surrounding magnificent peaks. It's one of the most beautiful day treks of Kashmir. We make an early start as today will be a long trek crossing a number of meadows and shepherd camps before ascending to this beautiful lake with breath-taking views of snow clad peaks and ridges of Kolahoi. Descent back after lunch to our camp at Lidderwar. After a healthy and delicious breakfast we retrace our steps back to Aru where our vehicles will be waiting for you to transport back to Srinagar. Mid-way we will enjoy white water rafting. Overnight stay in houseboats at Srinagar.